Updated Saturday March 2, 2019 by NSYFCA. We know as new parents to the program that you will probably feel overwhelmed from all of the information outlined below. We want you to have as much information as possible so that you understand the commitment involved. Practices start this year on Monday, July 29th. Practices run from 5:45-8:00pm Monday-Thursday behind Melican Middle School in Northborough, each week until school starts. Once school starts, practices are held Tuesday and Thursday nights (same time and place), until the season ends, usually by the end of October. Saturday morning walk-throughs may also be called periodically. In order to protect the safety of our players American Youth Football (AYF) mandates that practice begin no later than the first week in August. This allows us to ensure that the players get the proper amount of training before going into their first game. 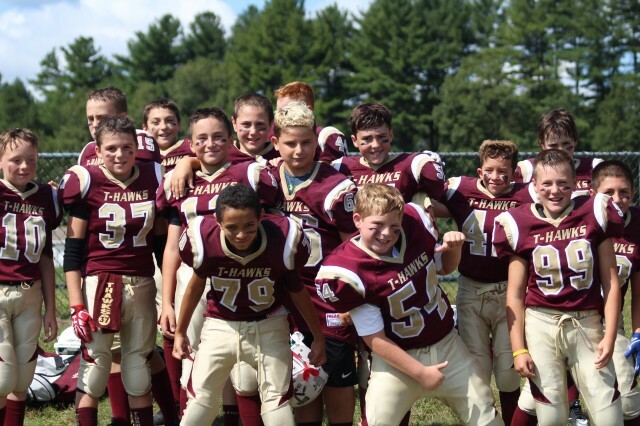 There is a considerable amount to teach the boys including stance, positions, plays, blocking, proper tackling technique, proper running technique, defensive schemes, etc… Many of the teams we compete with actually start earlier in July. In addition, American Youth Football mandates that we have 10 hours of practice without pads prior to the start of padded practice. This 10 hours is completed that first week. This means we typically only have 3 weeks to focus on blocking, tackling and scrimmaging before we meet our first opponent. We HIGHLY recommend you not miss the first week of practice. Your child will not be able to practice in pads until they complete 10 hours of non-padded instruction. If it is imperative that you miss a week, we would prefer you miss one of the padded weeks. Keep in mind that if this is your child's first year playing, it will put them behind the other boys on the team. We will do whatever we can to ensure that they are up to speed but we will not play them unless we feel they are ready to play. Games will be held once a week typically on a Saturday or Sunday. All home games are played at Algonquin High School in Northborough. Away games locations are determined based on the team we are playing. Unlike nearly every other sport and even football leagues from several other towns, NSYFCA still supplies, at great cost, the bulk of the protective equipment for our athletes. *** All items will need to be returned at the end of the season. If items are lost or damaged, the parent or guardian will be responsible for repaying the league. Approximate cost for all items is $465.